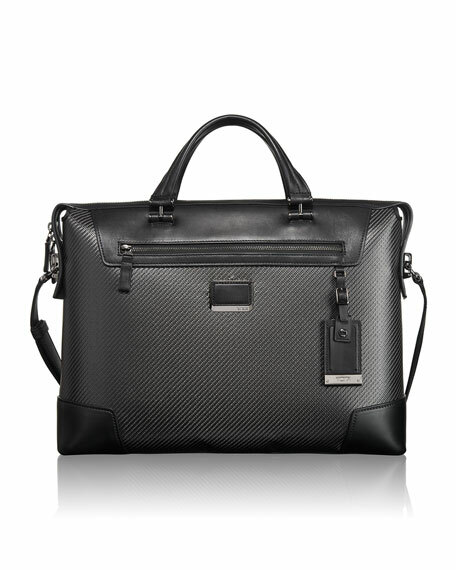 Slim briefcase made of carbon fiber with leather trim. 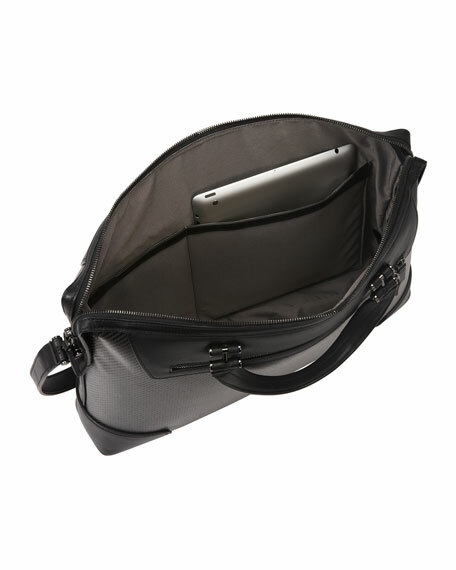 Padded tablet pocket and numerous smaller pockets for accessories. 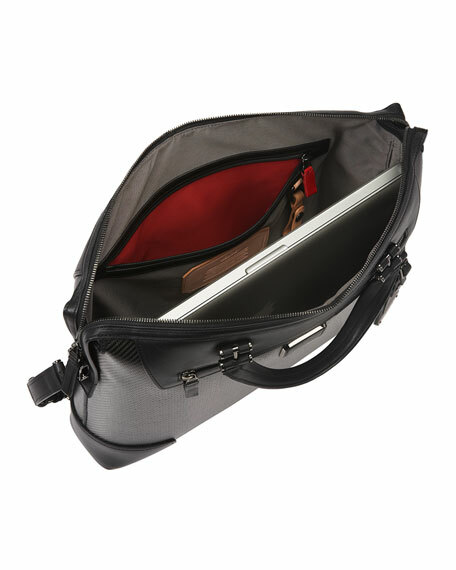 Exterior front zip pocket and back pocket/Add-a-Bag sleeve. 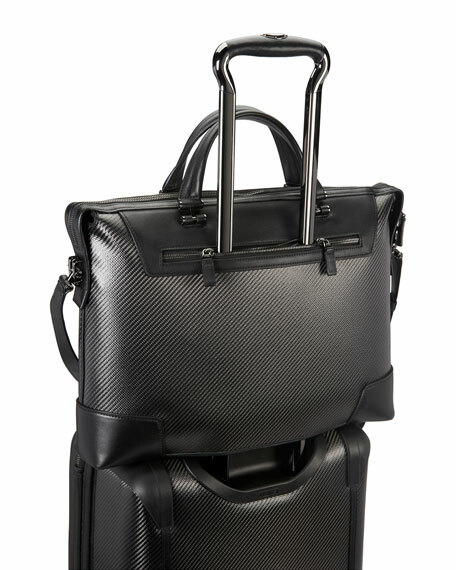 Top carry handles and removable shoulder strap. 17"W x 3.25"D x 12.25"T.